Hotel Casa Fortuna is a classy boutique hotel in Kolkata. It is truly the boutique property of Kolkata for all seasons. This is the hotel for every corporate traveler and tourist! Whether it is for business or pleasure, this city-centric hotel is built with a mix of both elegance and contemporary feel. The rooms and amenities of this boutique hotel in Kolkata are luxurious and we are just a comfortable few meters from all the major Corporate Houses of Kolkata, the best of the Shopping Centres, Embassies, Key Government Offices and the hallmarks of tourist attractions. Hotel Casa Fortuna is located right in the heart of the city on AJC Bose Road, in close proximity to Rabindra Sadan, Camac Street, Park Street, Shakespeare Sarani, Circus Avenue, Esplanade, Ballygunge Circular Road, Dalhousie (BBD Bag), Maidan and many other locations of corporate and travel interests, to reckon with. Of the hotels in Ballygaunge, Kolkata, Hotel Casa Fortuna is built on a contemporary design, with personalized service and has a 92-seater multi-cuisine restaurant, with an exotic ambiance and plush upholstered seats. 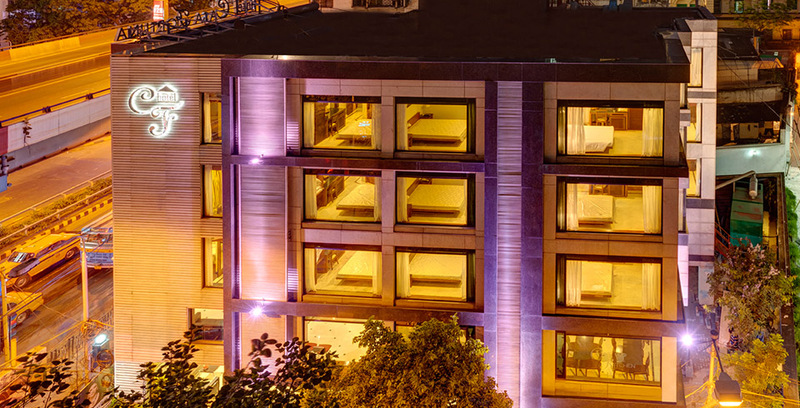 Among the boutique hotels in Kolkata, India, this hotel has all Luxurious Deluxe Rooms, located right at the heart of the City of Joy – Kolkata, and strives to be the best service boutique hotel in Kolkata. Of the boutique hotels in Kolkata, it also has its own laundry for guest’s immediate requirements and care of clothing. A web of high-speed Internet Wi-fi connectivity passes through the entire hotel for the benefit of guests to stay in touch with the world of business and entertainment. To satisfy the need for munches and sips, there is a fully stocked Mini-Bar. The Private Bar ‘Cellar Club’, offers a variety of beverage choices for your relaxation. Hotels in Ballygaunge, Kolkata are not aplenty. Hotel Casa Fortuna, by virtue of its location, is suited for Corporates, tourists and individual travelers alike. Our design and contemporary ambiance are ideal for foreign visitors. We have suited our accommodation and taste for the entire set of discerning guests, who prefer a very personalized service and exotic cuisine. Our guests range from all across the globe, be it from China to the USA, and from Europe to Australia and who work in varied disciplines from Steel to Automobiles, from IT to Hospitality, from Real Estate to Architecture & Engineering, from Consulting to Education. Hotel Casa Fortuna is your ideal ‘Home away from your Home’. Hotel Casa Fortuna is owned by Jatia Proprietary Company Limited. Just a few reasons to choose us!